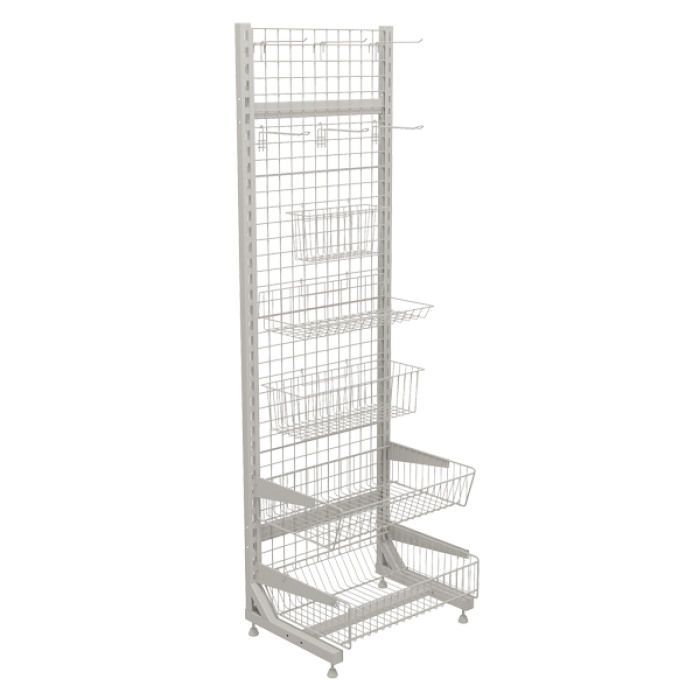 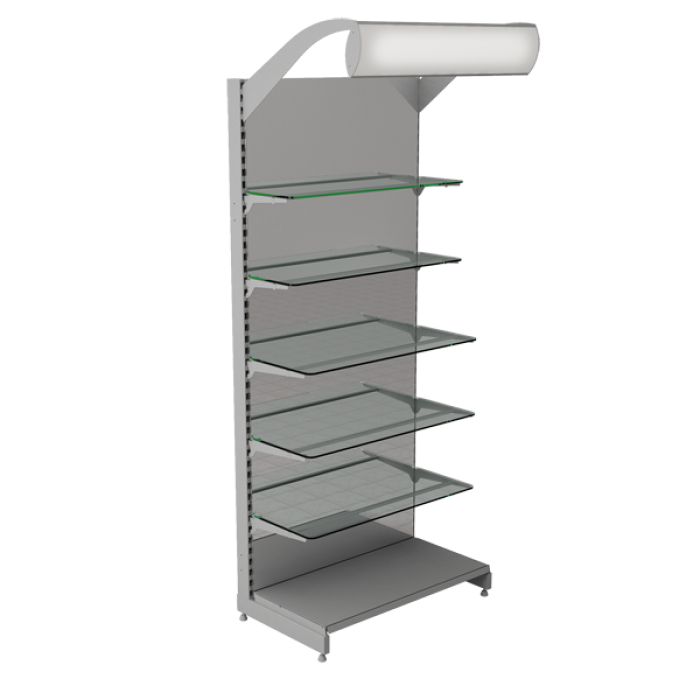 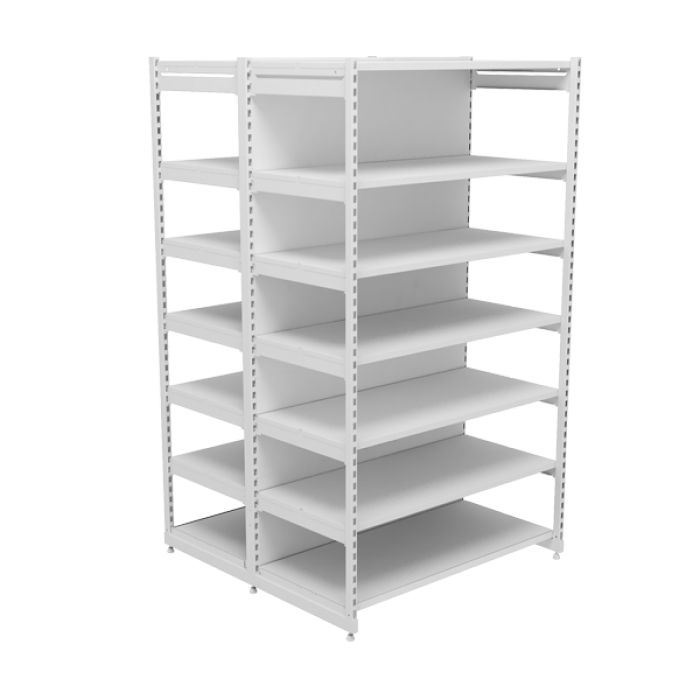 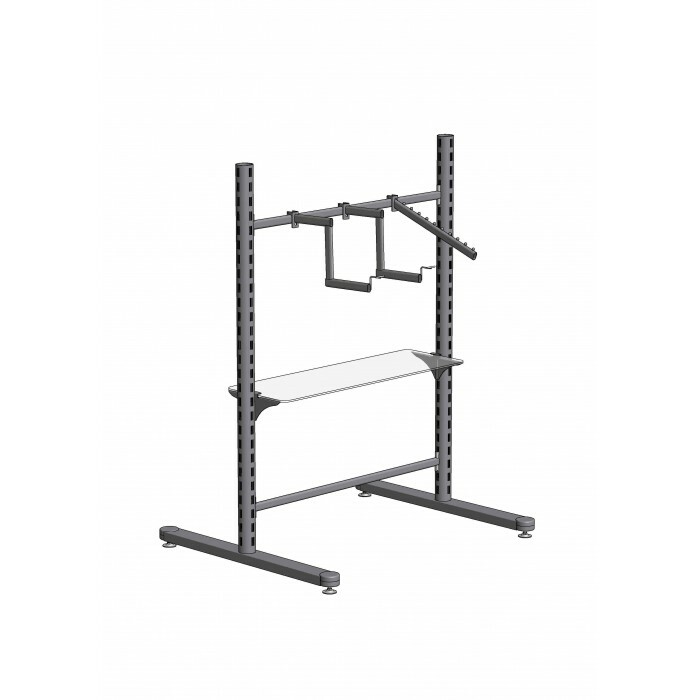 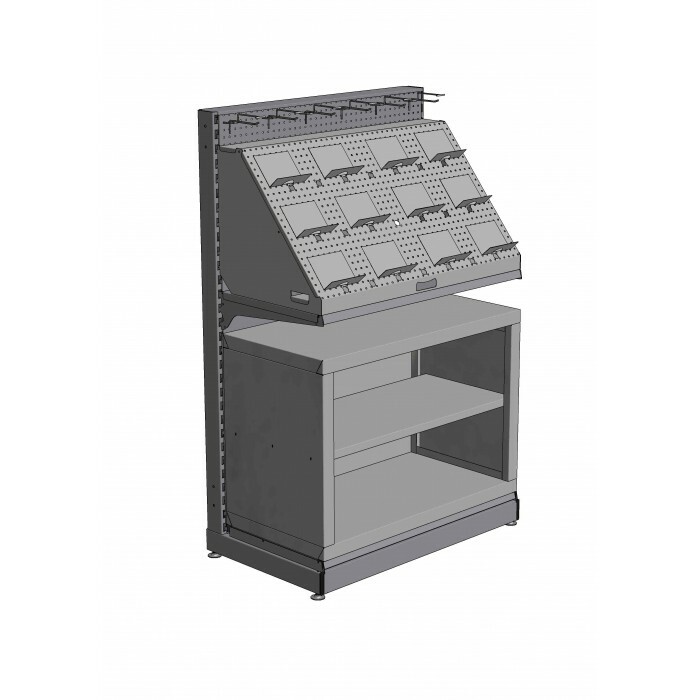 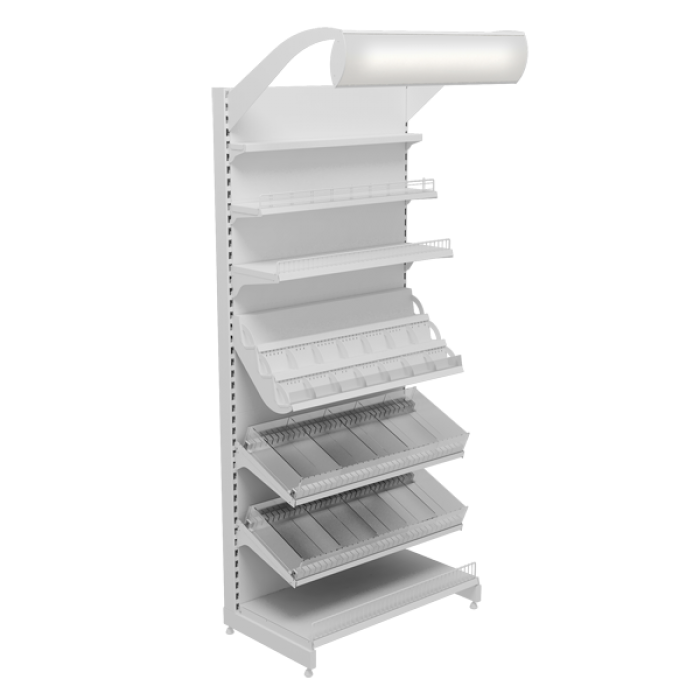 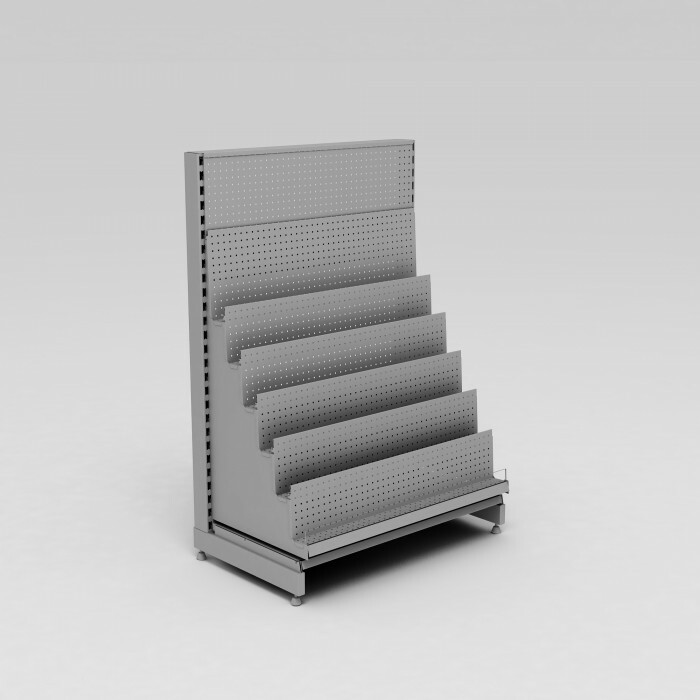 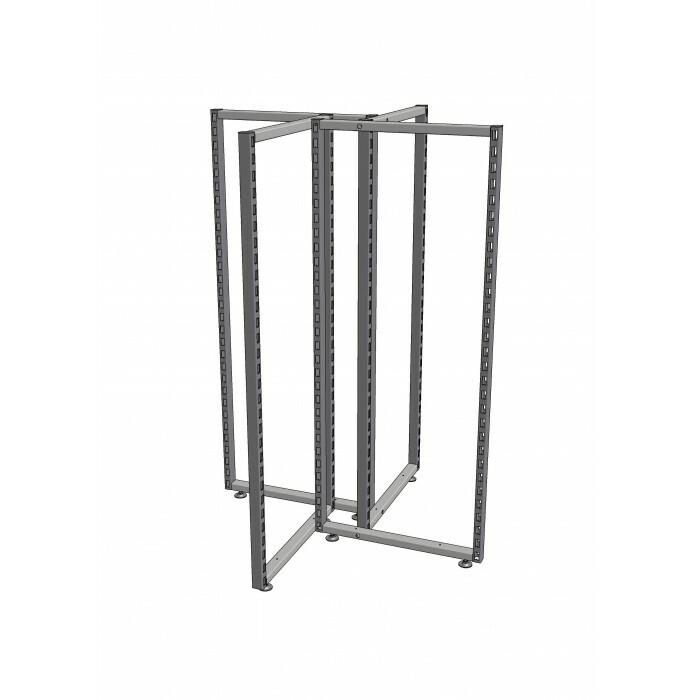 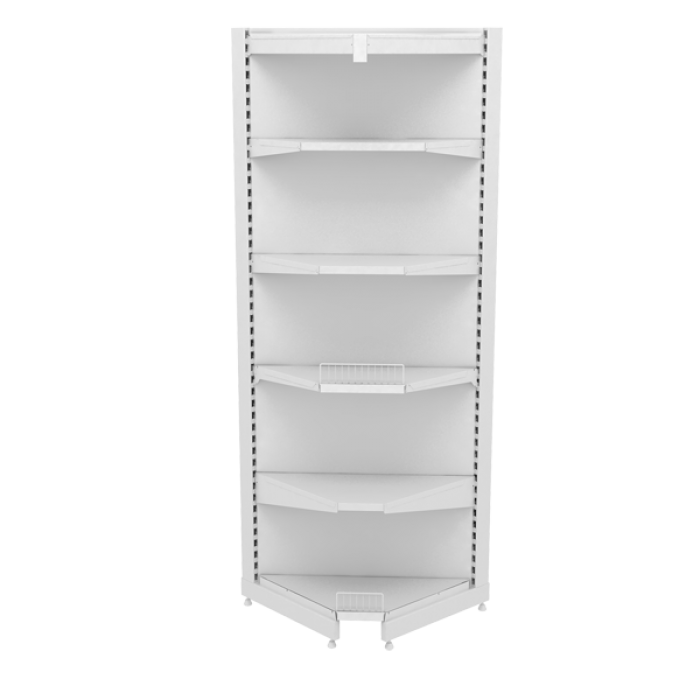 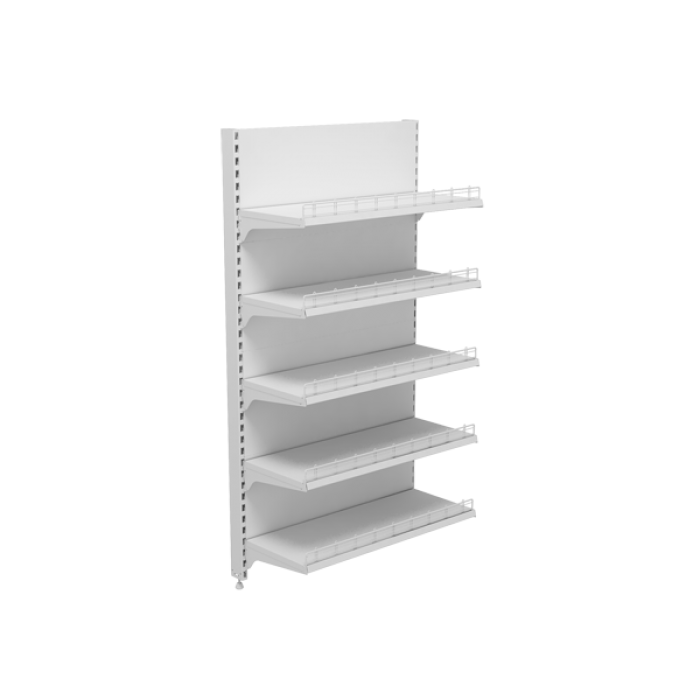 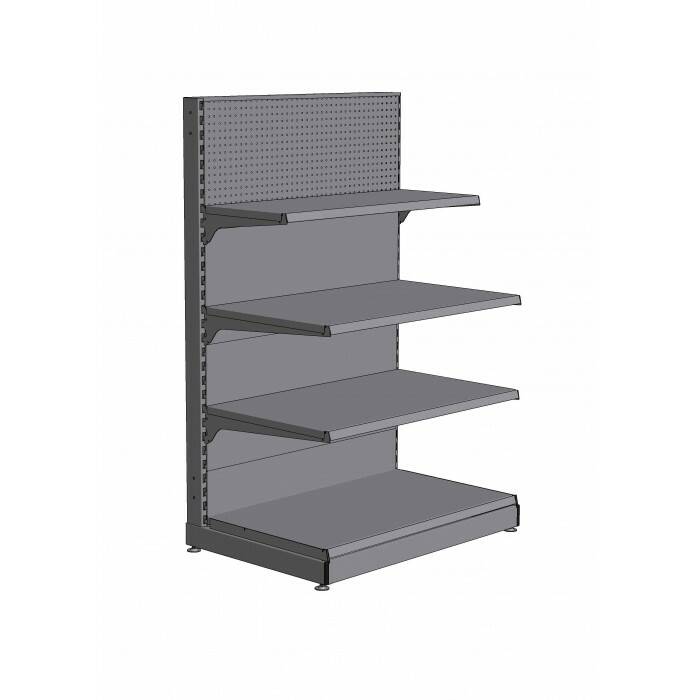 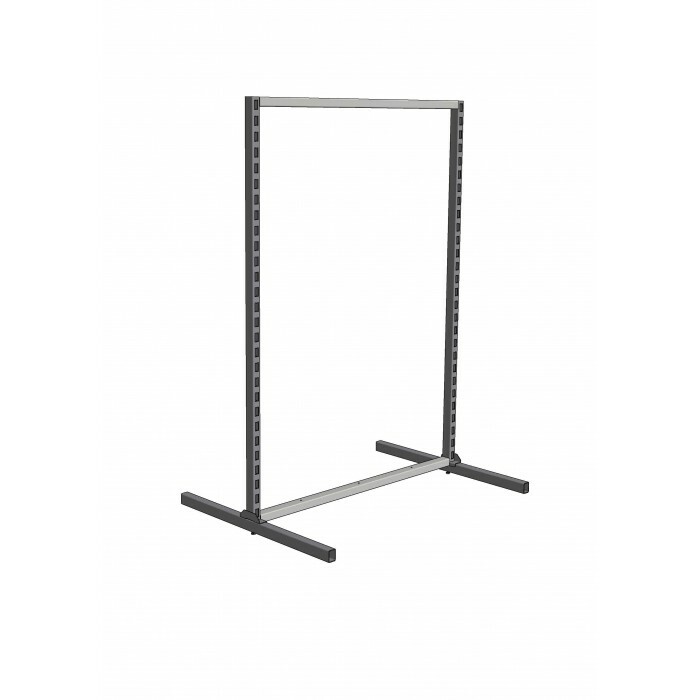 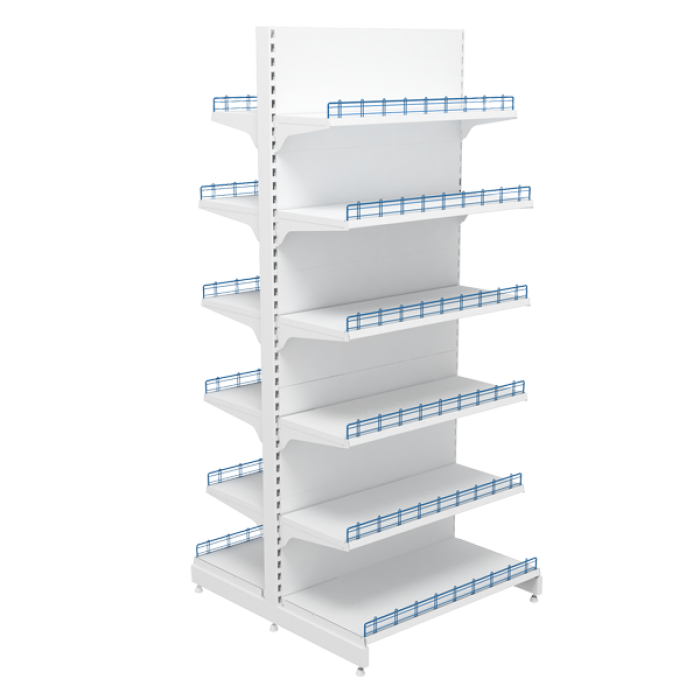 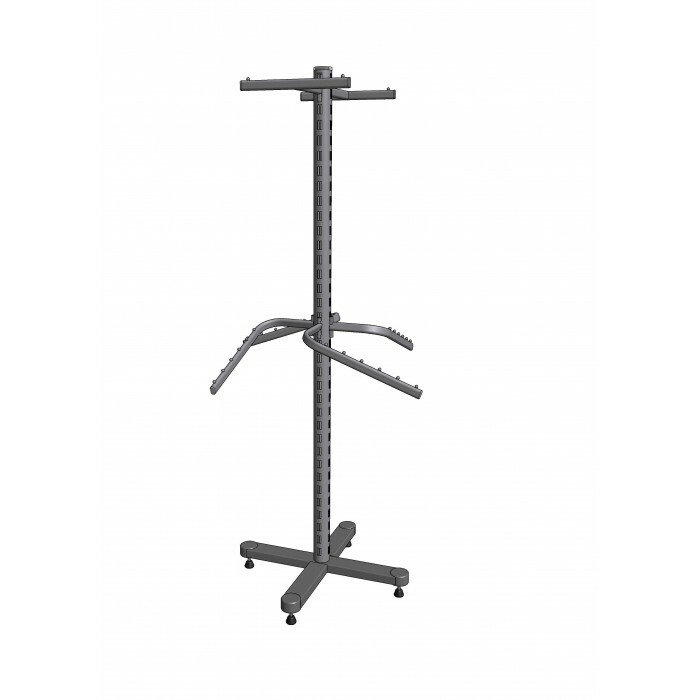 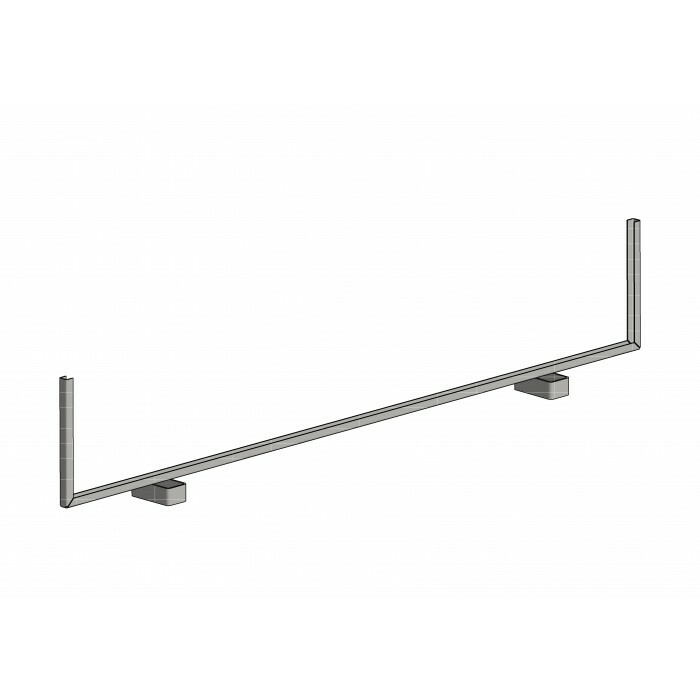 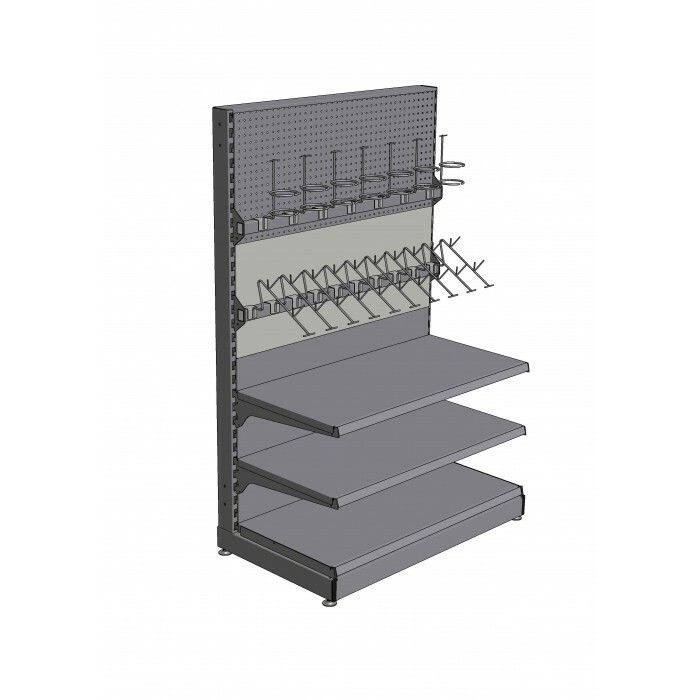 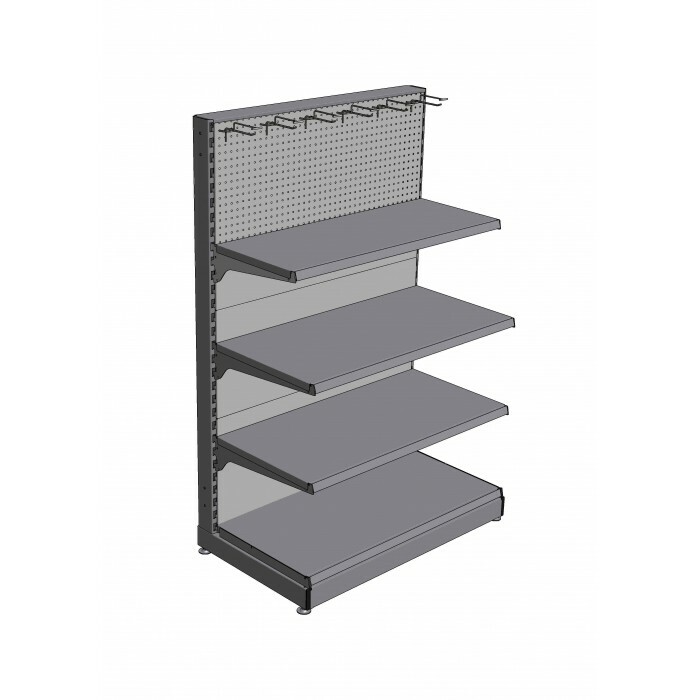 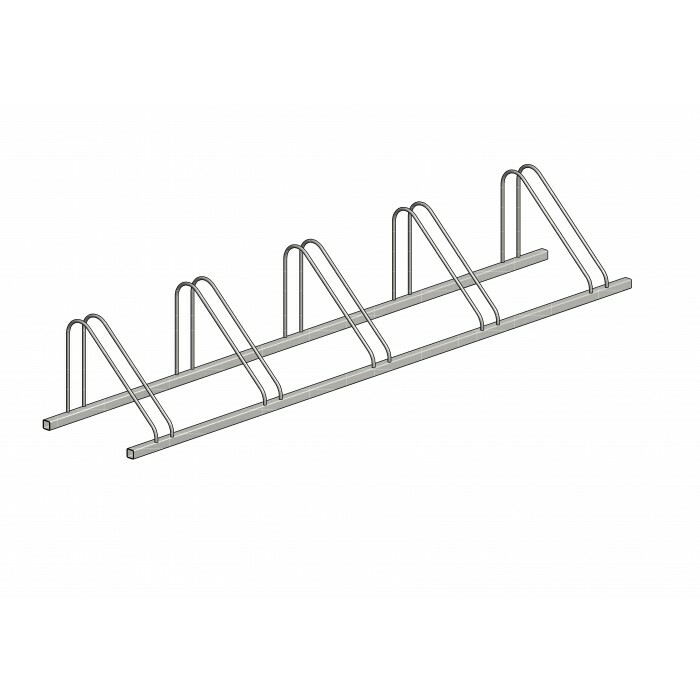 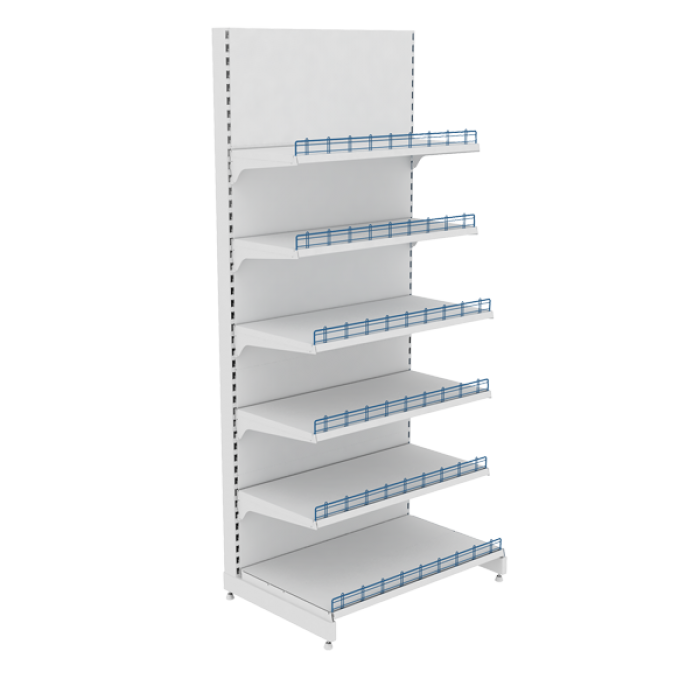 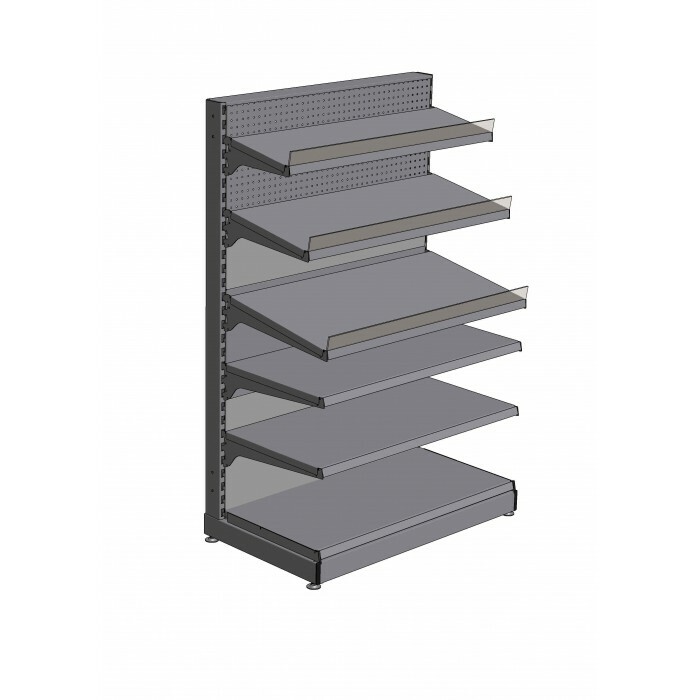 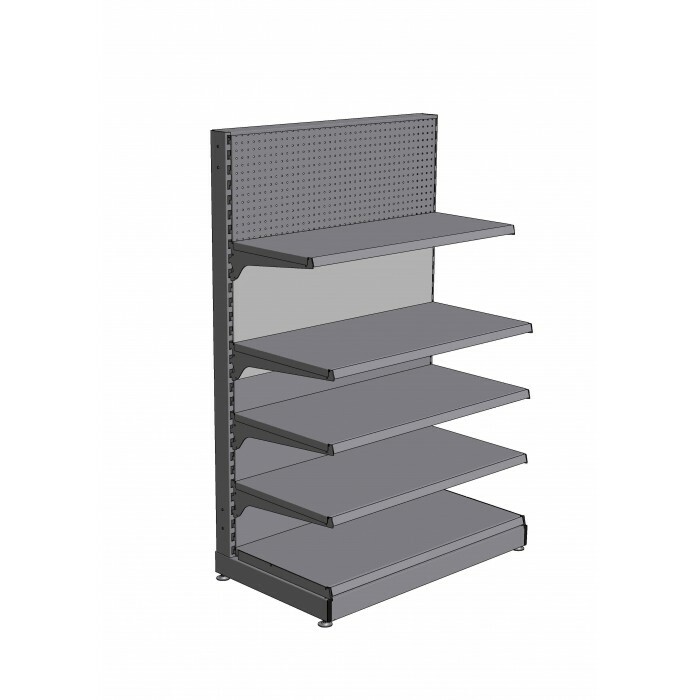 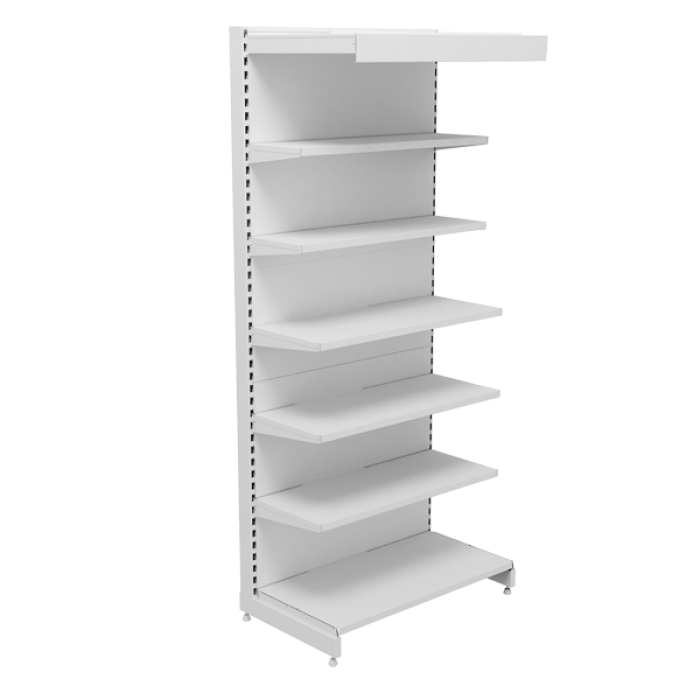 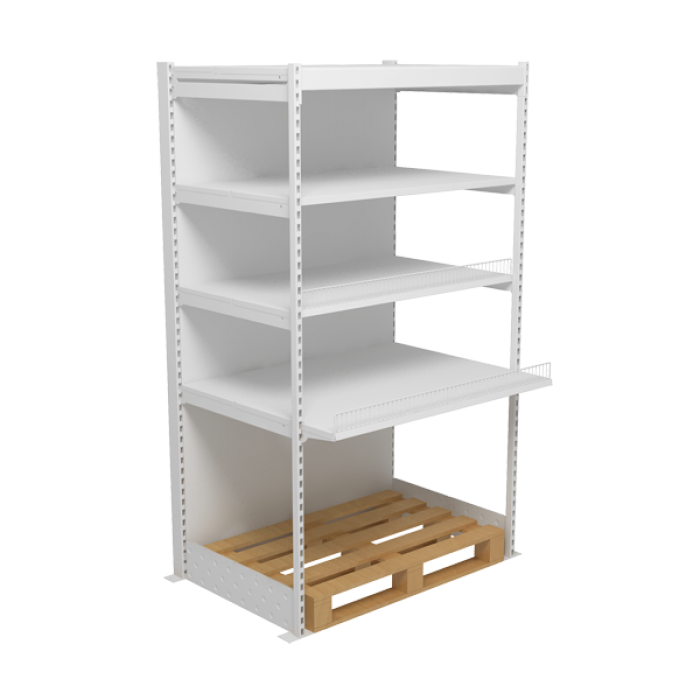 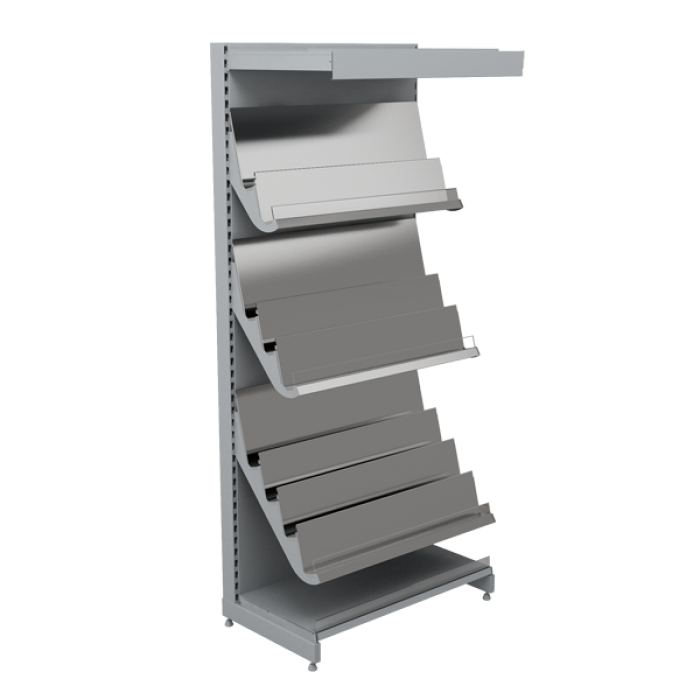 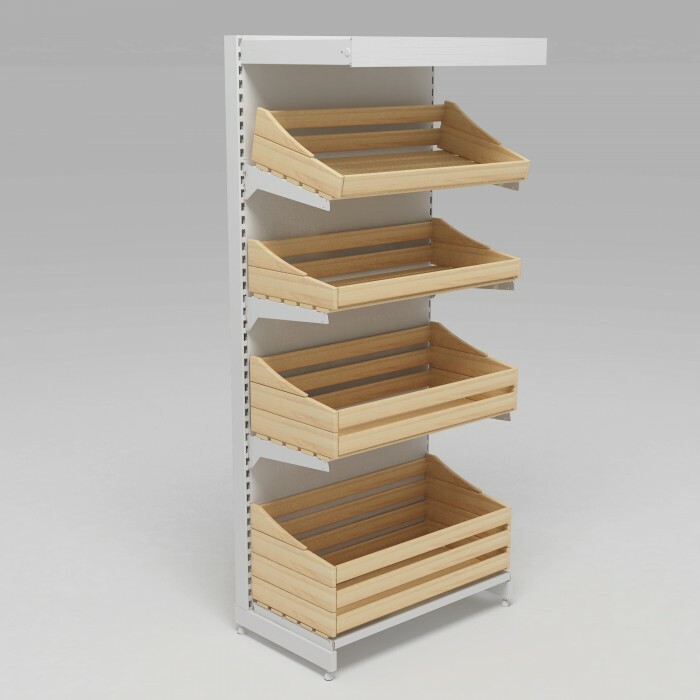 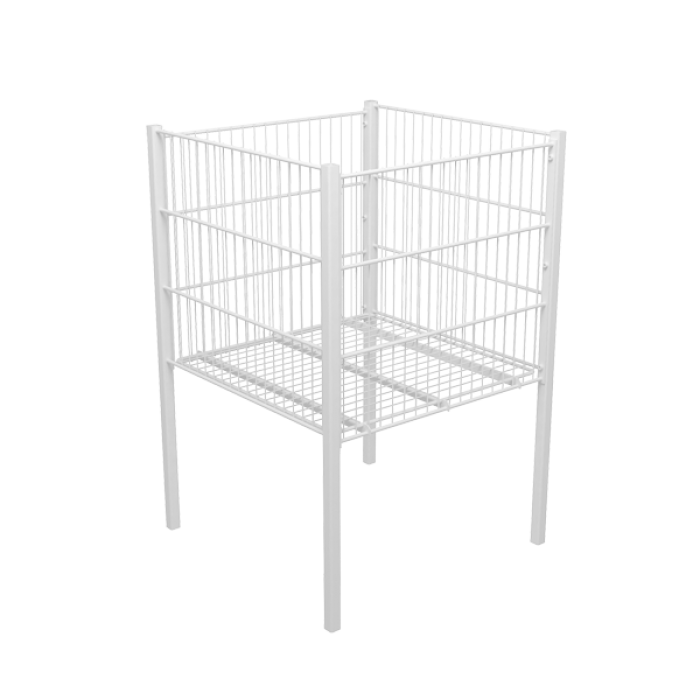 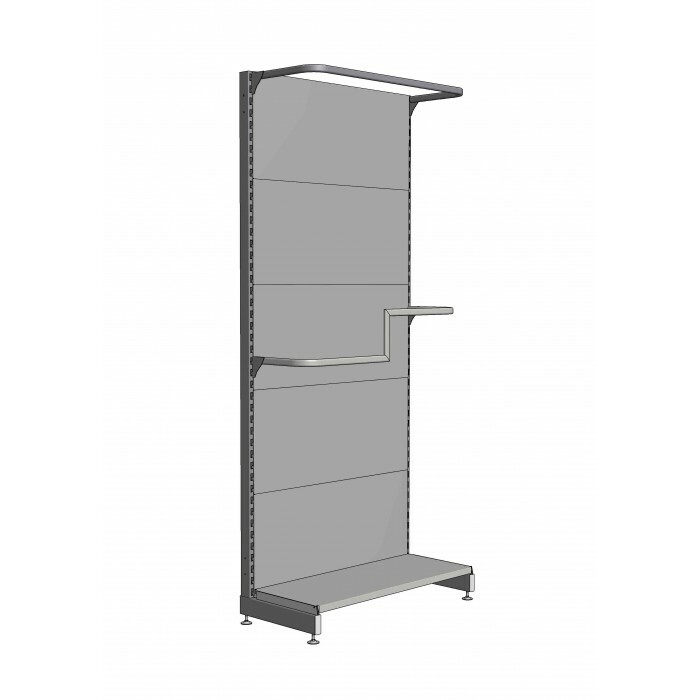 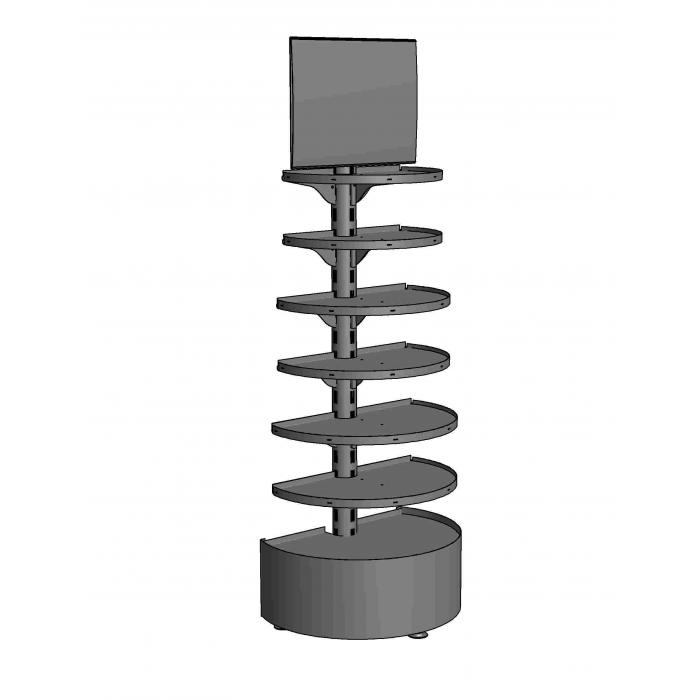 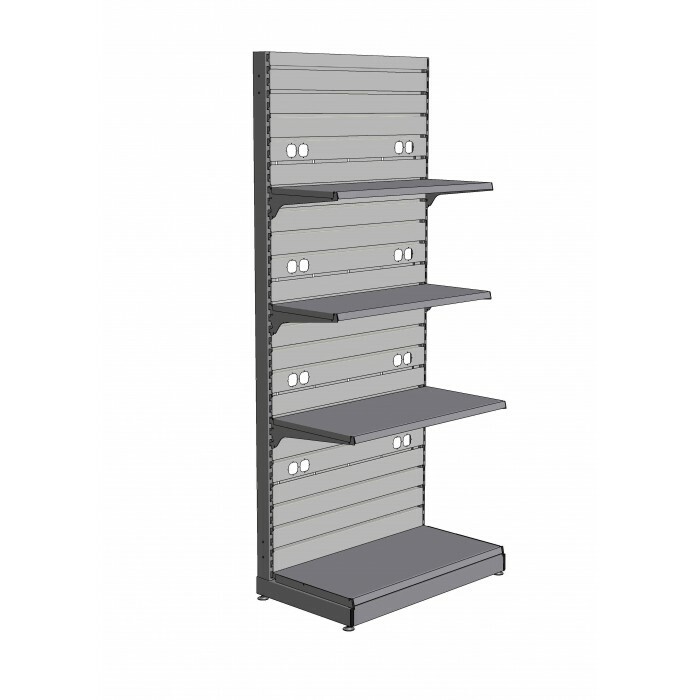 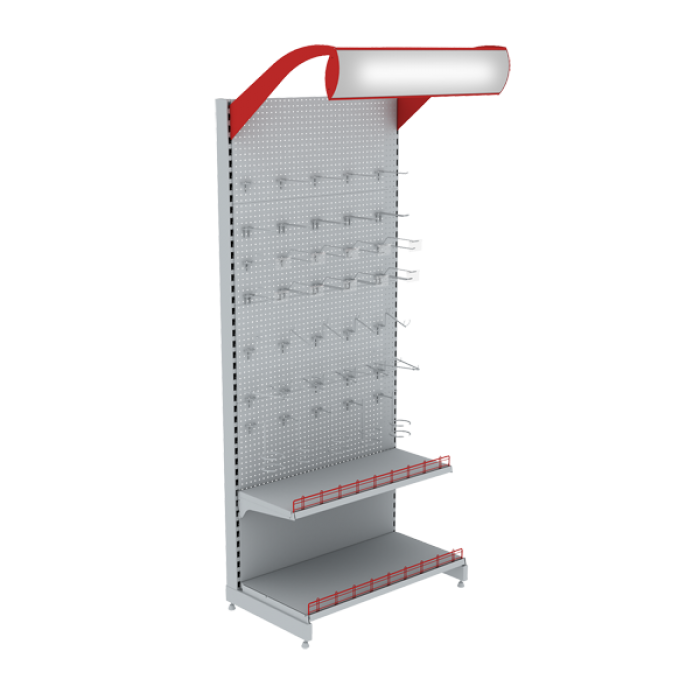 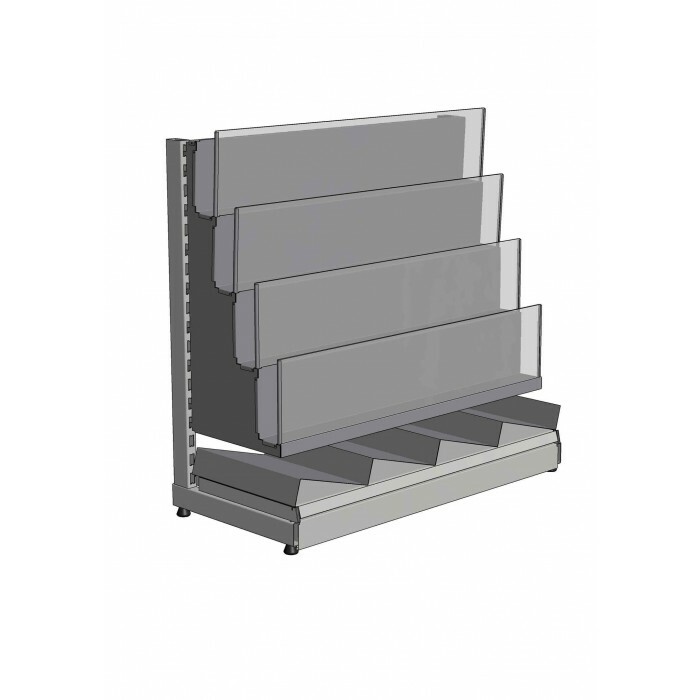 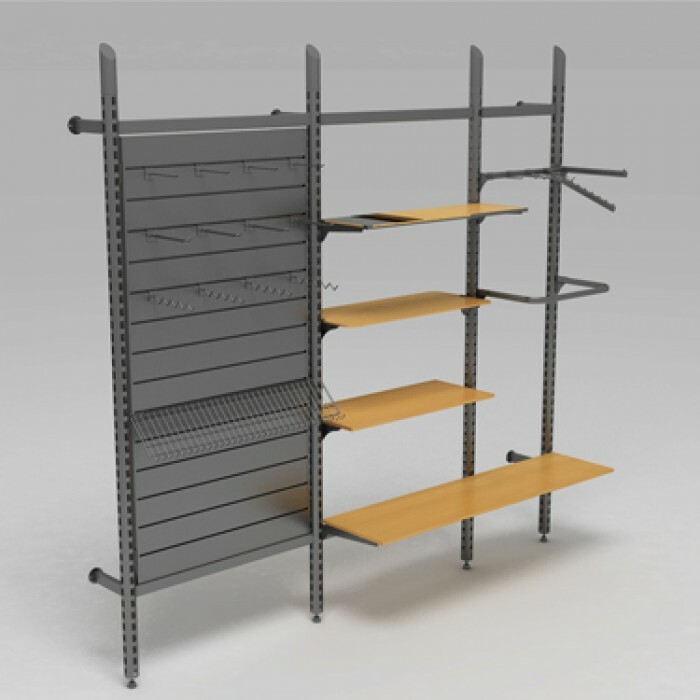 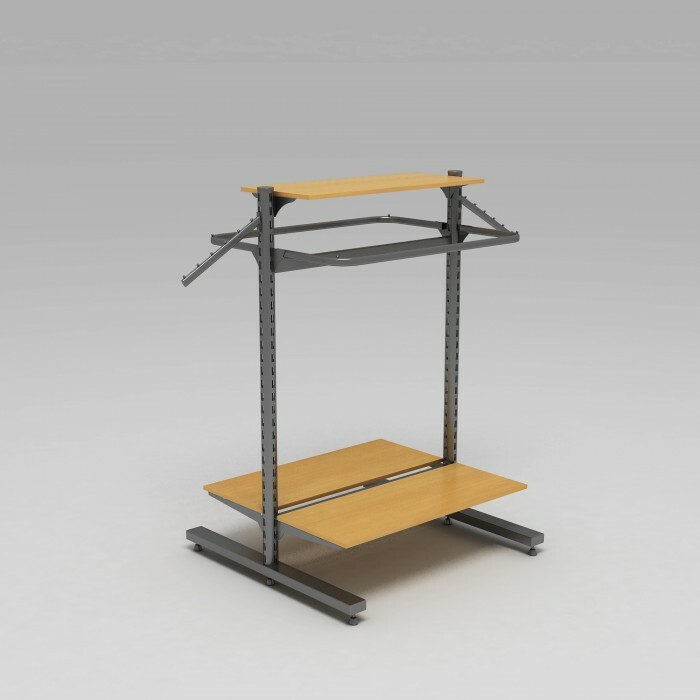 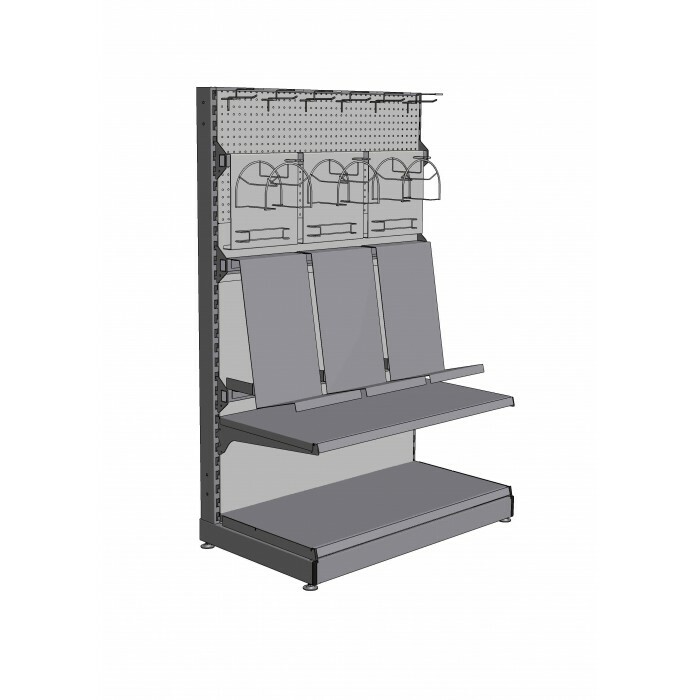 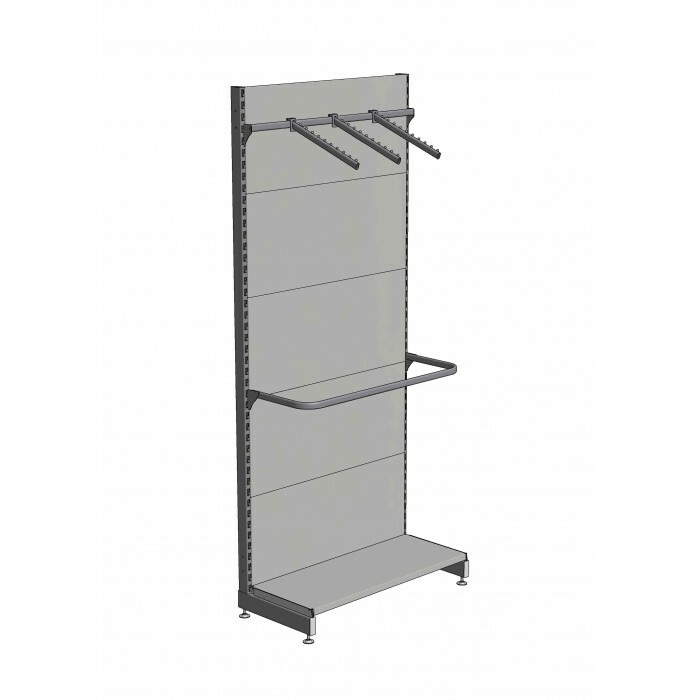 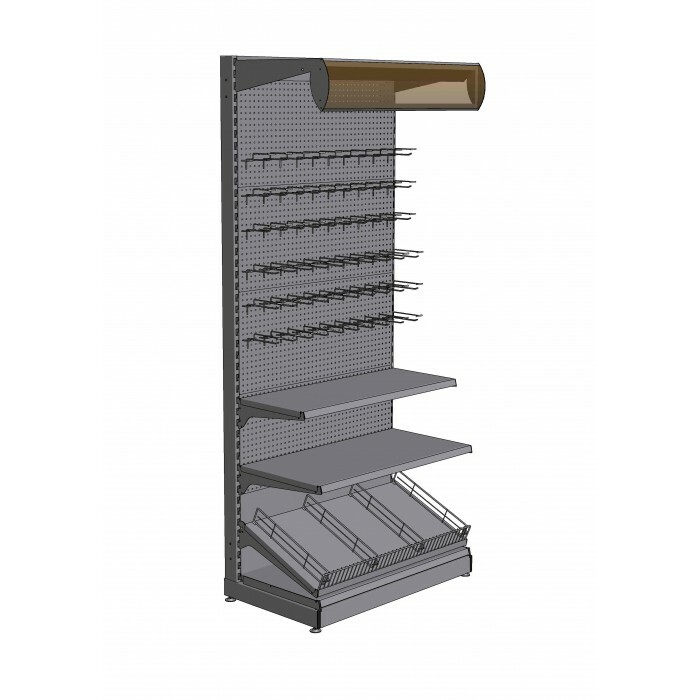 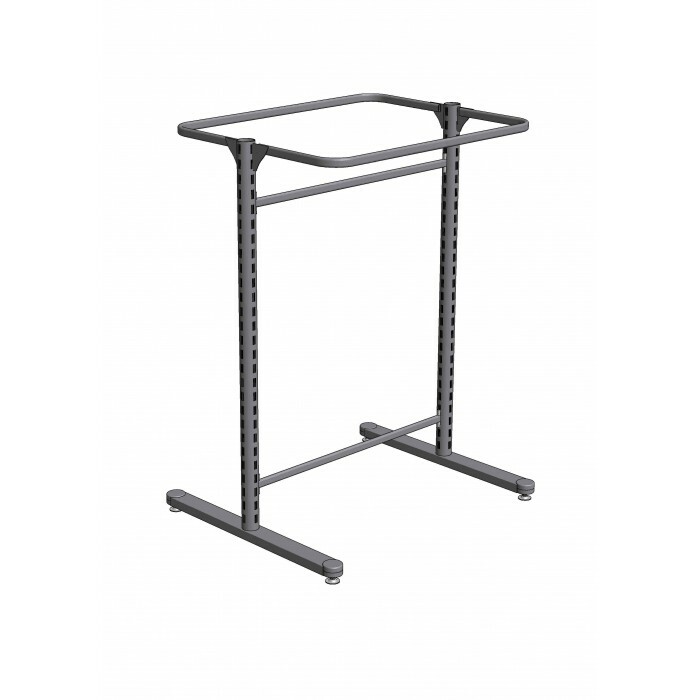 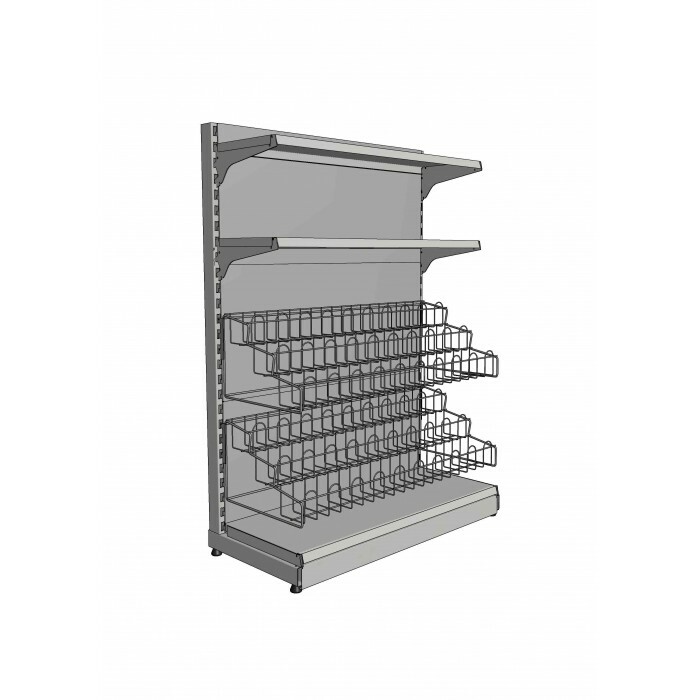 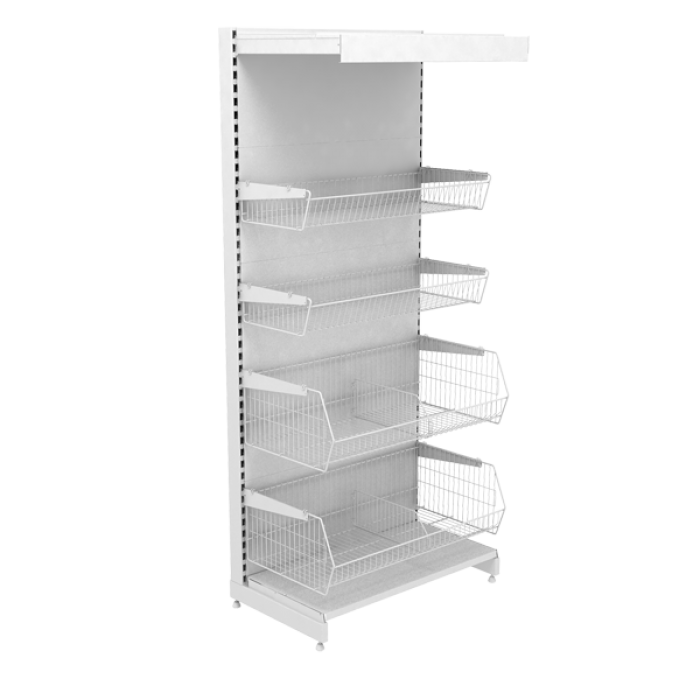 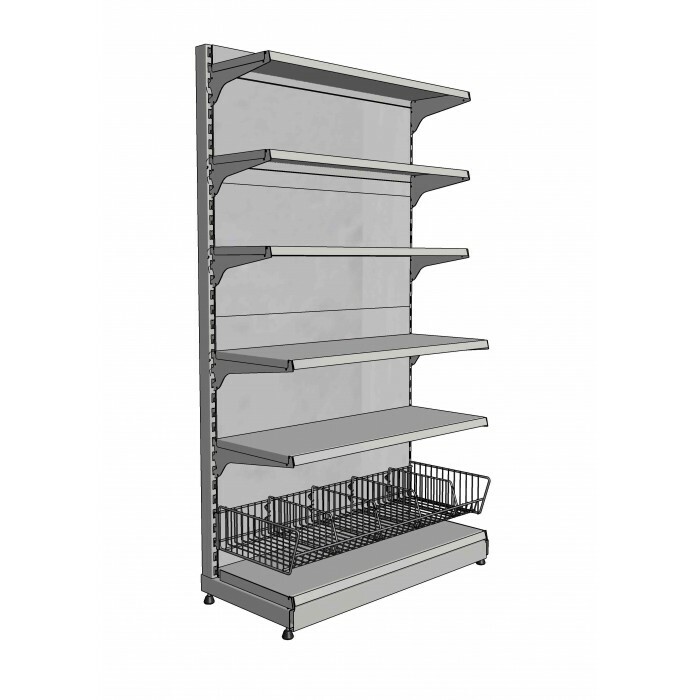 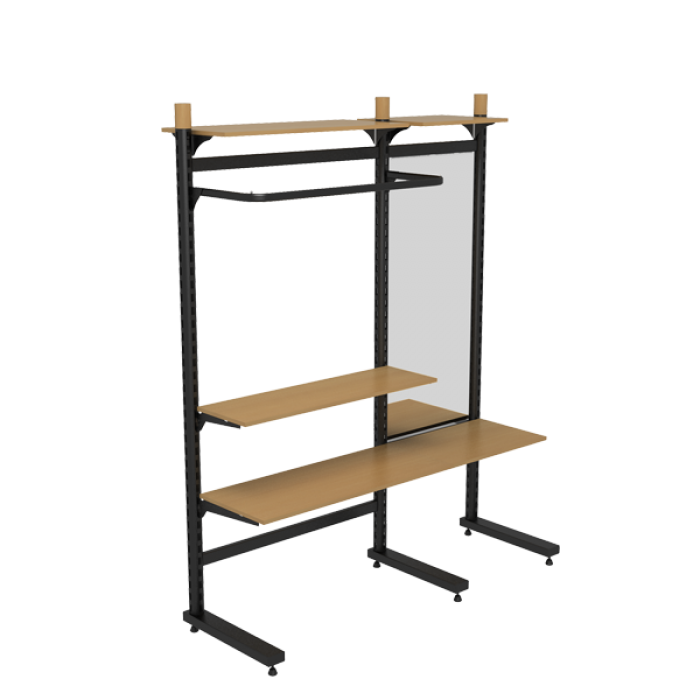 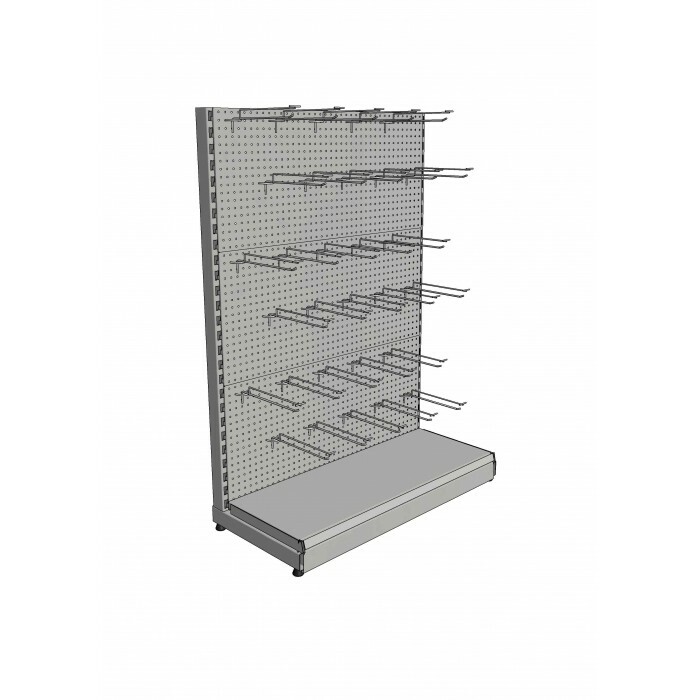 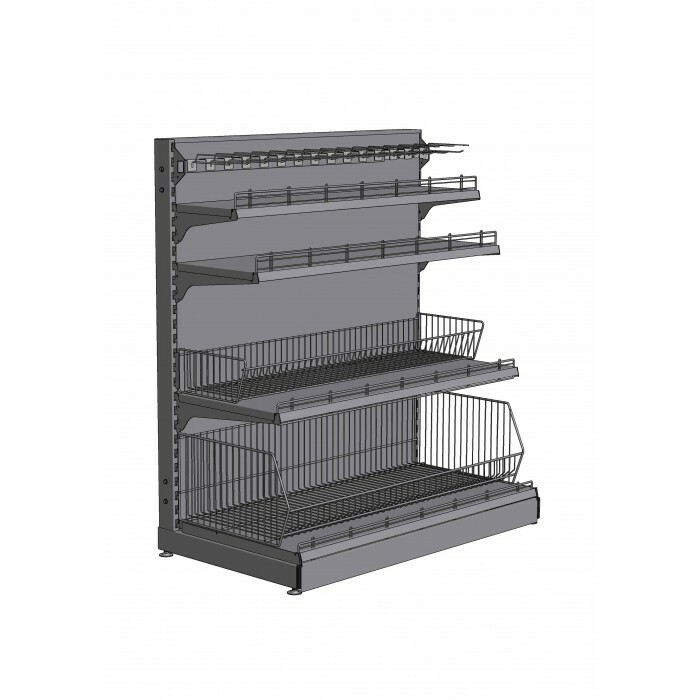 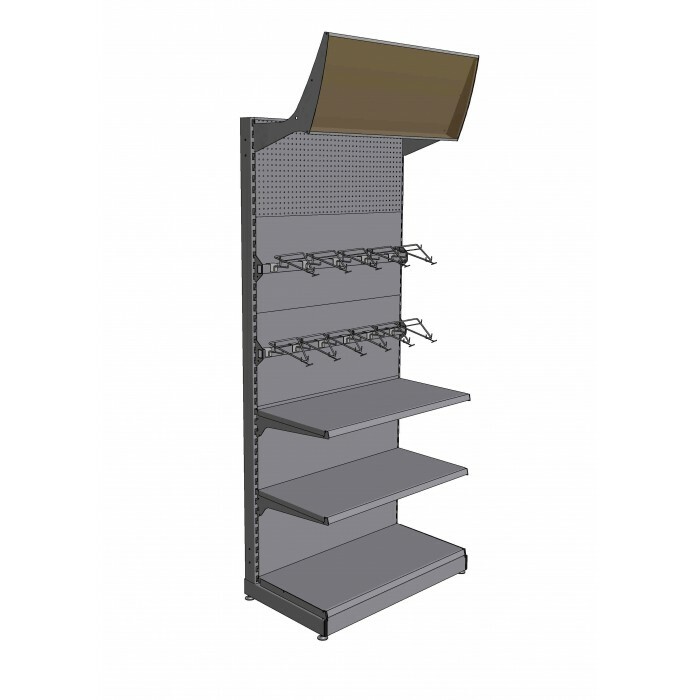 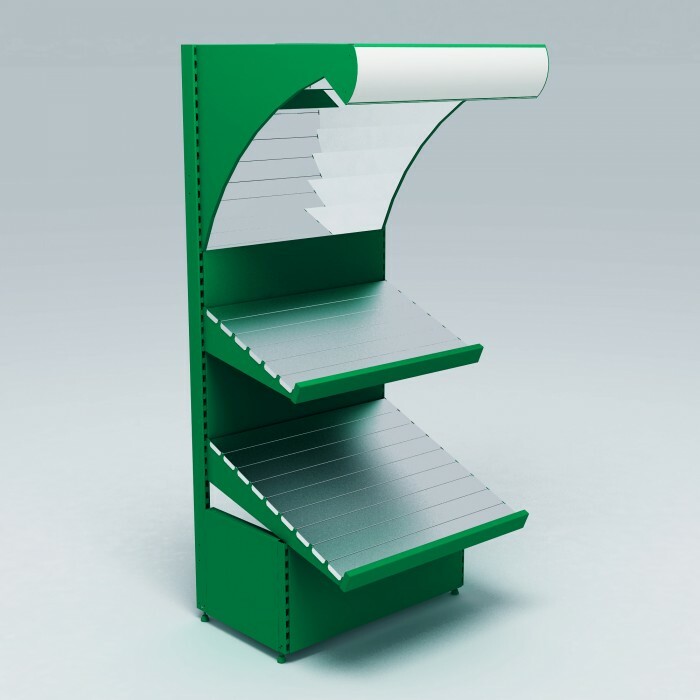 Metal rack with semicircular shelves. 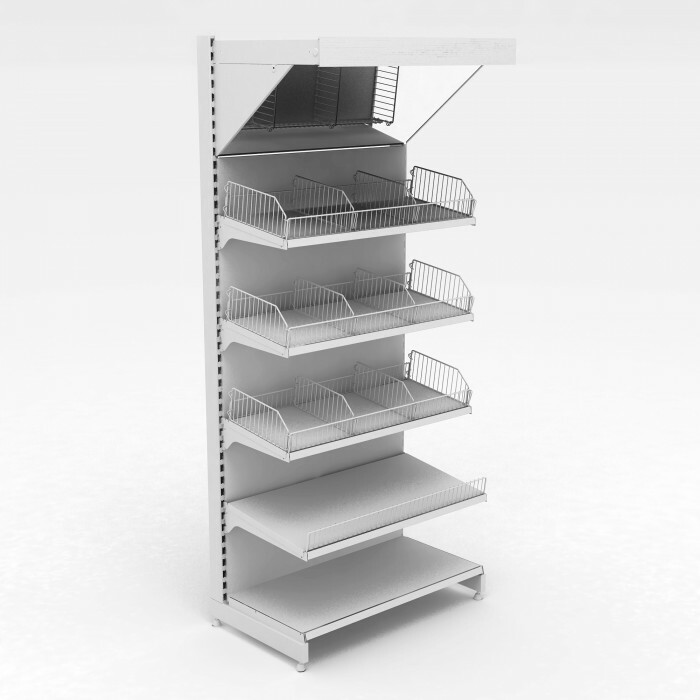 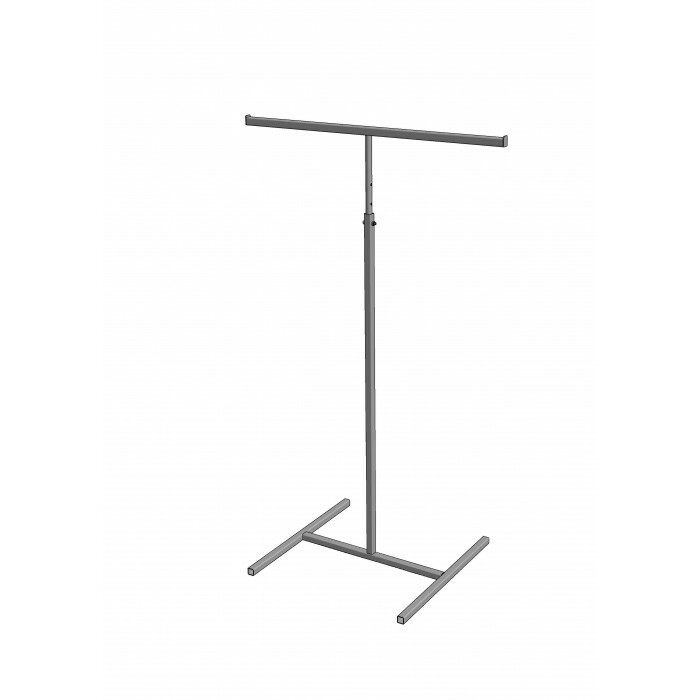 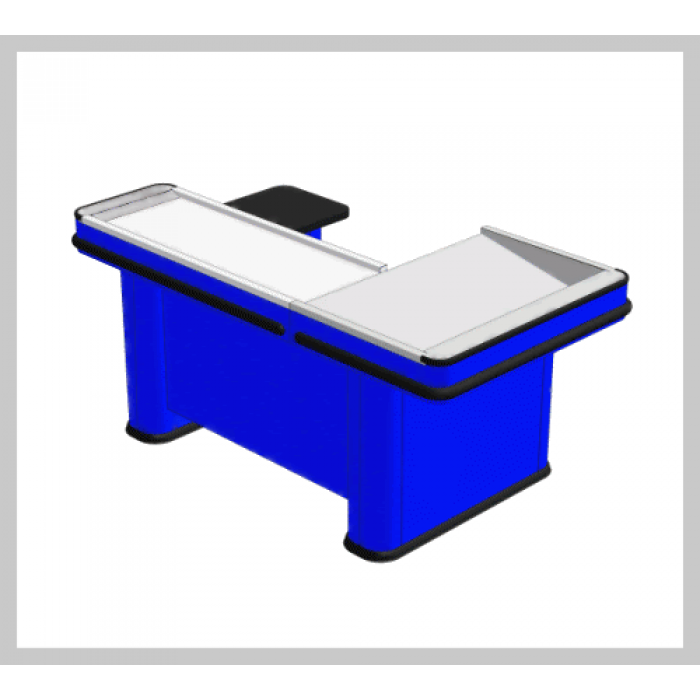 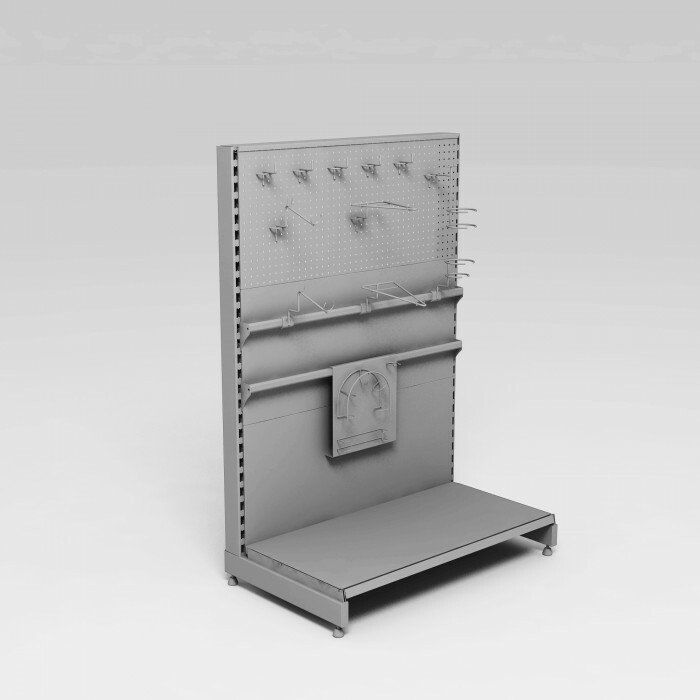 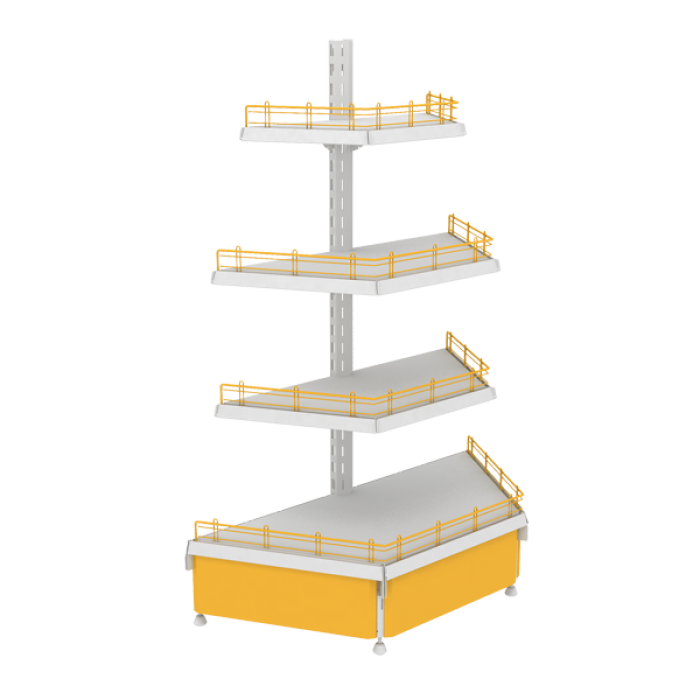 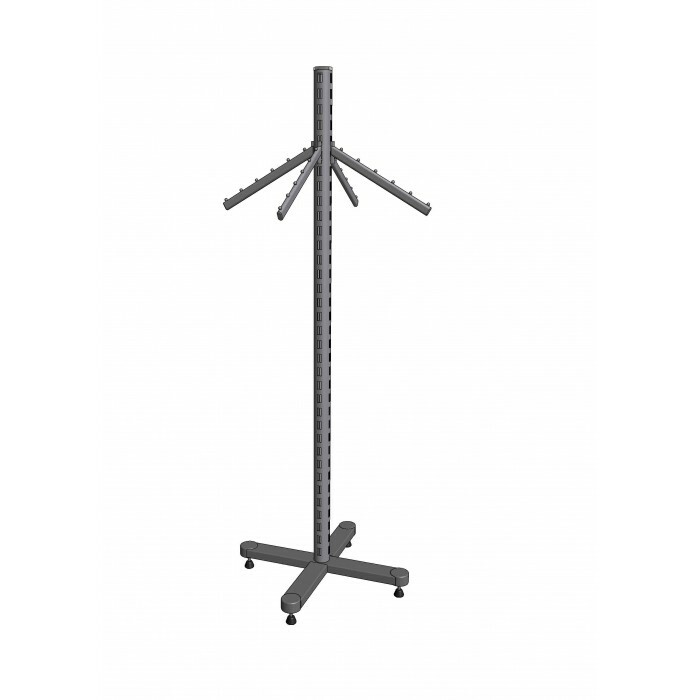 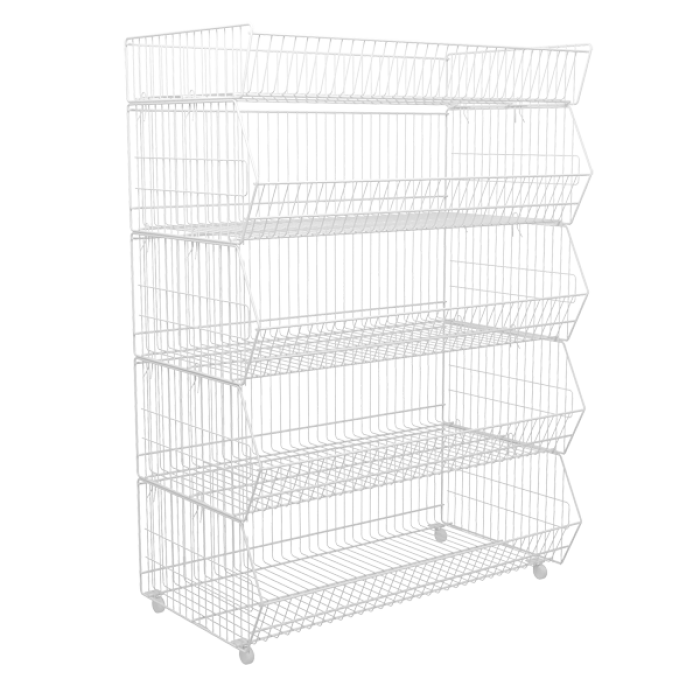 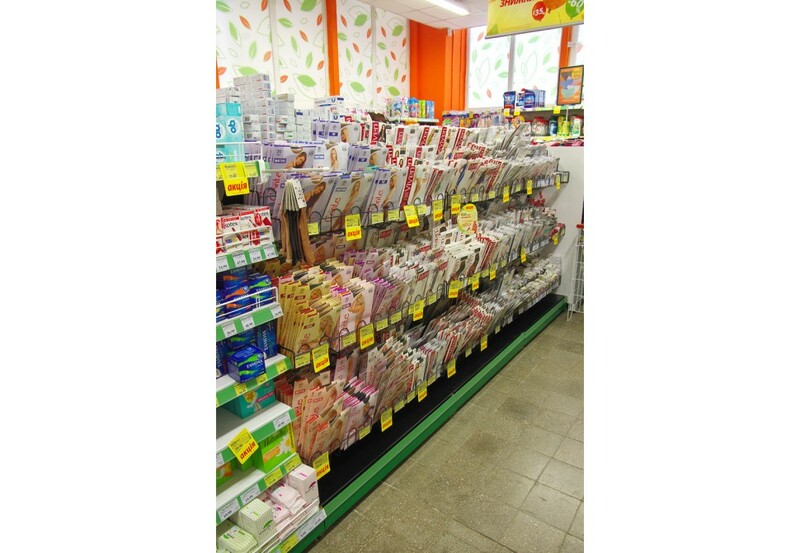 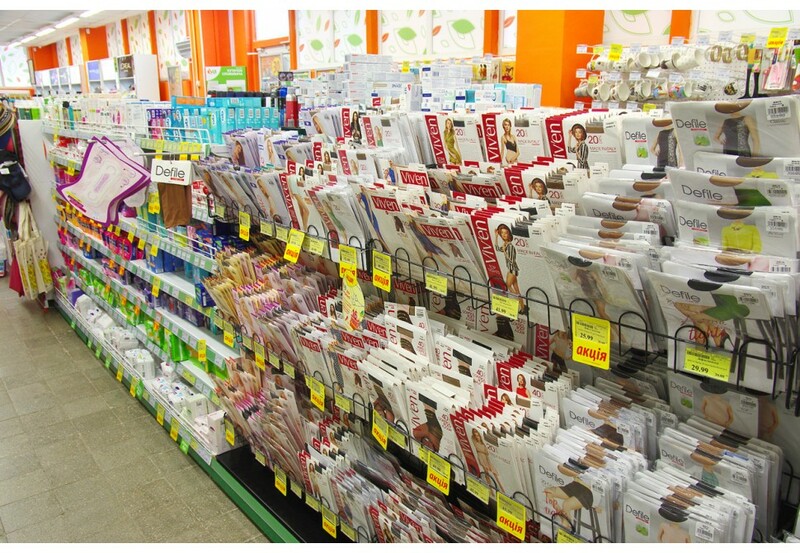 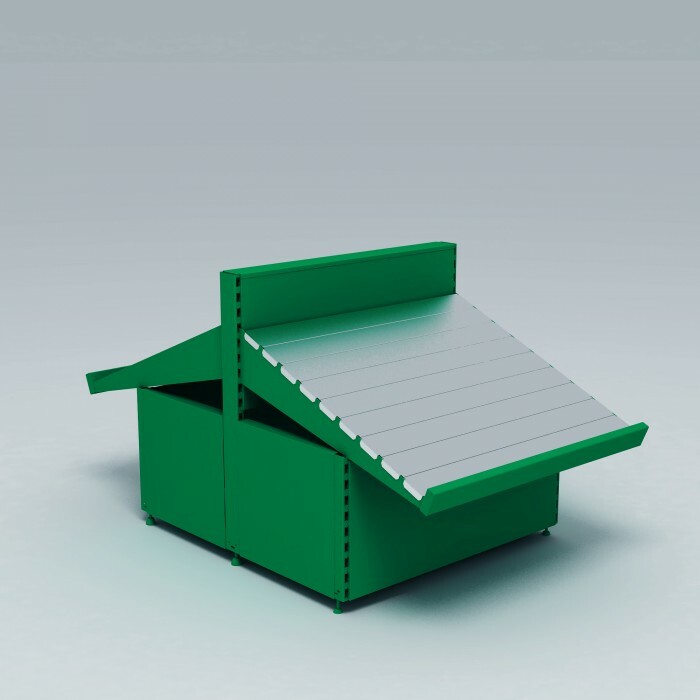 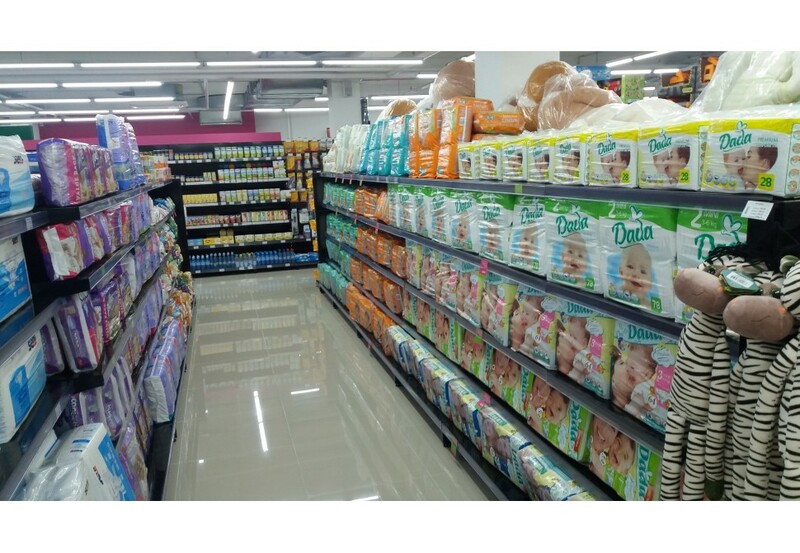 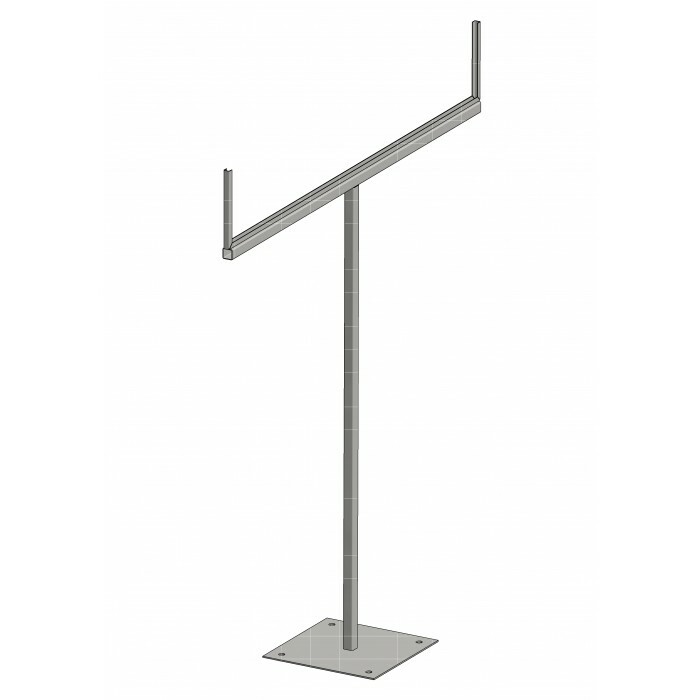 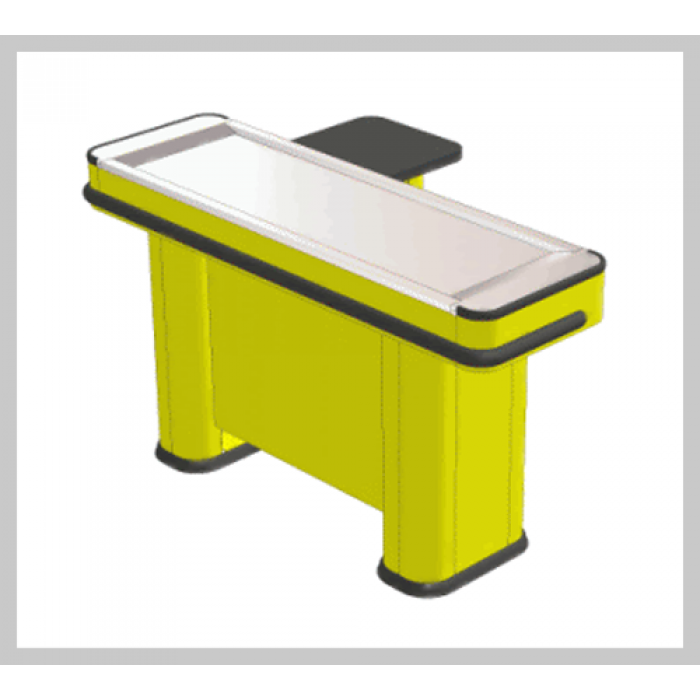 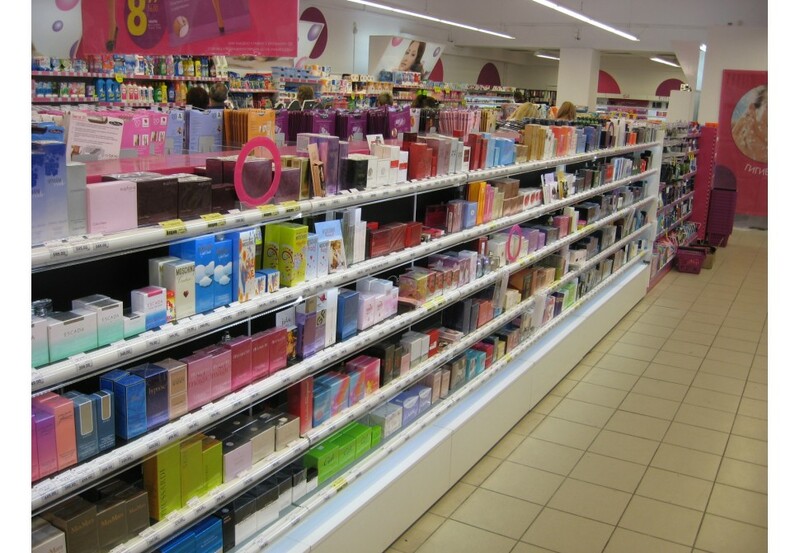 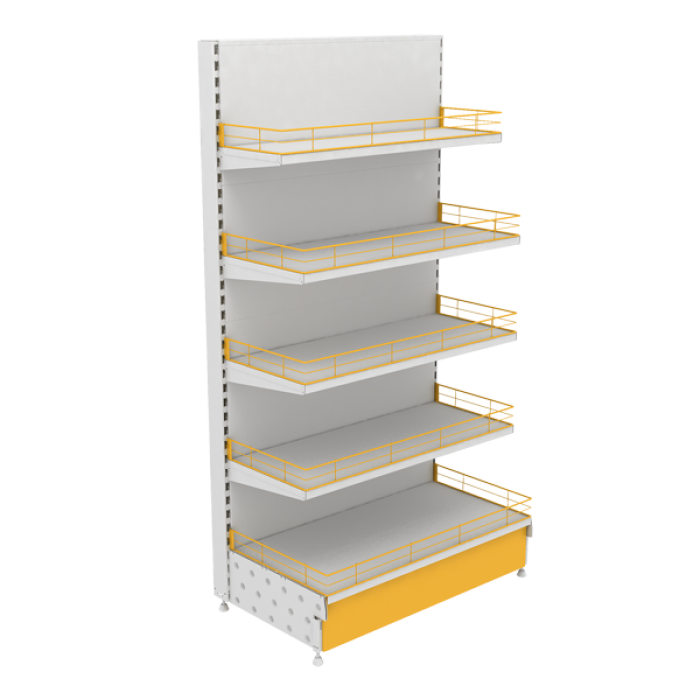 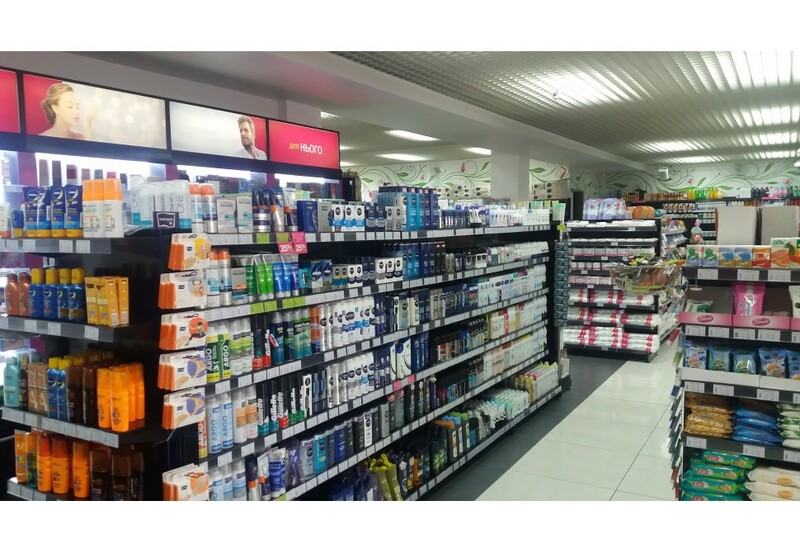 Designed specifically for displaying goods in drogerie stores. 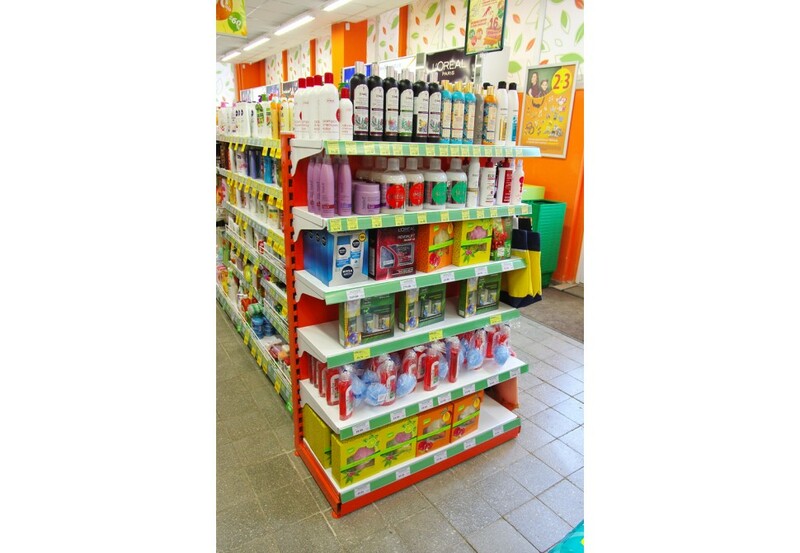 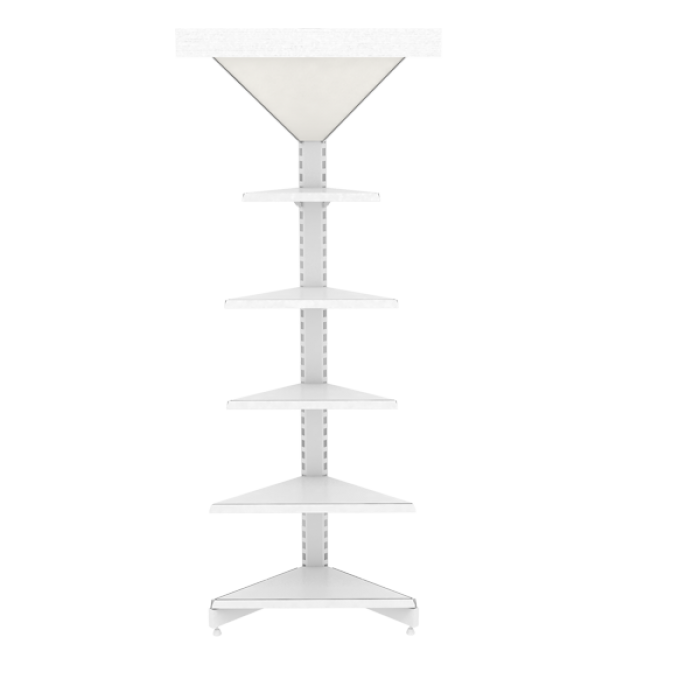 Complete with a topper for advertising or promotional offers.